Comedian Mick Molloy, and his wife Angie, welcomed twin boys on July 10, and recently announced their sons’ names as Fred and Lenny. Fred and Lenny Molloy were born a month early at the Royal Women’s Hospital in Melbourne, and arrived the day before their dad’s 46th birthday. They are the first celebrity twins for 2012. Before the names of the twins were announced, it was possible to place a bet on it at Sportsbet, with “Richo and Jack” being the favourites. It seemed that people were backing the Molloys to choose nicknames for their sons. After the births, Mick joked that the twins would be named “Ron and Jeremy” – an allusion to a joke at Triple M that adult film star Ron Jeremy is one of Mick’s celebrity doppelgangers. Mick has been working in comedy since his university days, and while still a student met the comedy troupe The D-Generation, who have been so influential on the Australian comedy scene. As well as writing comedy for television, he became a regular on The D-Generation TV show in 1988. He was an essential part of The Late Show in the early 1990s, and then he and fellow cast member Tony Martin formed a highly successful comedy team on Austereo, with their Martin/Molloy radio show. 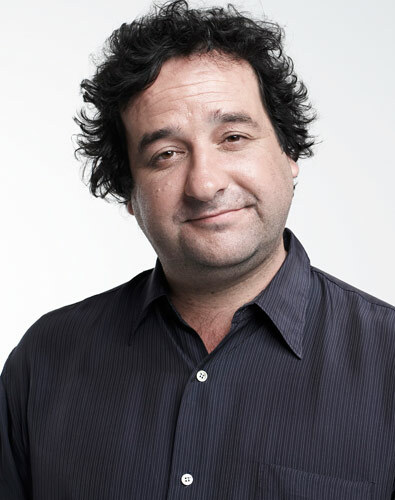 He got his own TV show in 1999, The Mick Molloy Show; it bombed, but Mick bounced back and gained several acting roles in comedy movies and TV series, as well as hosting his own radio show on Triple M, Tough Love. He has had starring roles in the movies Crackerjack, Bad Eggs, and BoyTown, and since 2008 has been a regular panellist on the AFL show, Before the Game. Last year he returned to radio as a member of The Hot Breakfast on Triple M, as well as appearing each day on Triple M’s The Grill Team. Mick has kept the identity of his wife Angie private, as she is not in the entertainment business, and it was only recently that the media reported her name. Mick and Angie have been together for about five years. There are many comedians with the names Fred and Lenny, so they do seem very suitable for the sons of a comedian. However, they are also names gaining popularity, and Lenny in particular is a name I am seeing more and more often in birth announcements.